nor could we be more delighted"
Could not recommend their work highly enough!" "Oh wow... it looks stunning! Thankyou." "Finally, a garden we can enjoy and be proud of." "You take great pride in your work"
Welcome to Langlea Garden Design & Construction, a boutique yet full-service landscape practice with an integrated approach to garden design and construction. Our range of services fully complement one another, with the result your project is perfectly executed and carried out entirely in-house, from design through to construction.  We are an approachable and focused team of multidisciplinary professionals, bound together with a passion for detail and an eye for creating multi-sensory gardens, regardless of their setting or size. We execute these to the highest standards, and are intent on surpassing the demands of the most discerning private clients. Specialists with 15 years of experience in bespoke, award-winning and fully managed residential garden design and construction projects, we are undaunted by challenging commissions and share your ambition of realising the full potential of your home, of which its relationship with your garden is key. We achieve this by provoking your imagination and stimulating your senses through sensitive and sophisticated design, without ever forsaking a close working relationship and natural dialogue with our clients. We believe that the relatively small size of our practice is one of its virtues, as it allows us to clearly focus on our combined strengths and provide a custom service to each commission. In this respect, we always place our clients’ interests first. Our expertise spans the full range of initial garden design concept to implementation, and we treat our work within each dedicated field with an equal rigour. Whether it’s small garden design, courtyards and backyards, front gardens, town gardens, large gardens, roof terraces or swimming pool landscaping you require, we recognise how important each is in transforming an unloved garden into a desirable living space, so establishing a connection between the indoors and outdoors. We are obliged to our clients first and foremost, and our reputation as a trusted and innovative local company results from their satisfaction with our work. The residents and businesses of Brighton and Hove, where we are based, know us as such through continual word of mouth recommendations, repeat business and long standing working relationships. We endeavour to play an active role in our community by serving clients predominantly in and around East and West Sussex, but also with our close neighbours living in Surrey. We prefer to work locally as our trusted partners are themselves found here, and we have developed professional relationships and a personal understanding with all of them. A close proximity to both our clients and partners is integral to us, and this can be felt in the level of client relations you receive from inception to completion of your project. We are always ready to provide advice, and prefer doing so for people, rather than companies. Foremost within our specialisms are garden design, construction and landscaping, which we consider to be related services requiring a complementary skillset. A fully qualified designer is on-site every day during an integrated project, ensuring not just the quality of materials and their fit and finish, but also that health and safety procedures and project management duties are complied with. We value innovation in our projects, but we are also fluent in a more classical approach to design, and are adaptable to our clients’ many different visions. Regardless of their differences, all of our projects make use of the finest features and materials, though naturally we take into account budgetary and seasonality concerns. We take pride in our work, and have nurtured our reputation through a mixture of media exposure and word of mouth. We take care of our reputation and are intent on improving its condition. This describes not just our own company values, but also our approach to your project.